I am on this big fermented kick. Not fermenting my own stuff, but in trying things that are fermented. I am already a huge fan of Kombucha. Kombucha is basically fermented tea. I have also just recently discovered the joy of Kimchi, basically fermented vegetables. I think there is something so interesting in the process of fermentation. Sure, we all know about how yeast and grapes are used for fermentation to make beer and wine, but did you know that fish can fermented with salt to make fish sauce? I told Mr. Beet I had this new recipe for Brussels Sprouts I wanted to try, and he didn’t ask any questions, until I served him a plate. 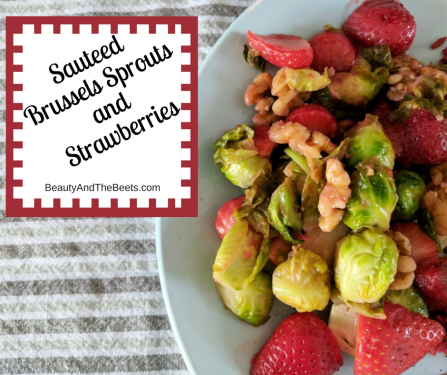 When he asked what the sprouts were dressed in, I hesitated. Mr. Beet doesn’t like anything fermented. And he certainly does not like anchovies. The fish sauce I used in this recipe was made of anchovy, salt, and water. I did tell him, and he decided to not eat the sprouts. I will give him credit, because he did at least try them. But he wasn’t a fan. The sprouts came out quite salty, as one would expect when you ferment fish in salt. In the dressing is also lime juice and brown sugar so the saltiness does get cut back quite a bit. Fish sauce is an excellent substitute for soy sauce, especially important when you are trying to avoid soy, like me. And fish sauce can be used in place of Worcestershire sauce (which also contains soy). 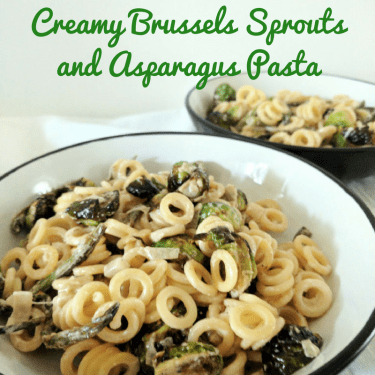 I loved this recipe, especially as I am always looking for new ways to make Brussels Sprouts. Because of the saltiness of the fish sauce, I highly discourage adding salt when roasting the sprouts. Trust me, the fish sauce will provide you will all the saltiness you will need. And you don’t have to tell your family you made Brussels Sprouts in Fish Sauce Dressing- just tell them it’s a special dressing, right? I am all about expanding my palate and exploring new foods. To a point. Don’t ask me to eat anything that is still moving. But good news, fish sauce doesn’t move. 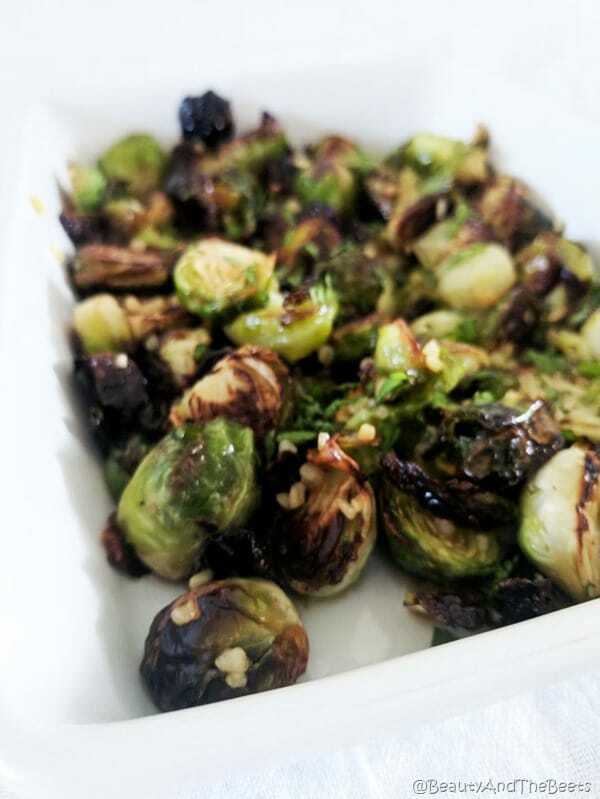 Inspired by a recipe from Eating Well magazine, these Brussels Sprouts are not only delicious, salty, and sweet, but healthy too! 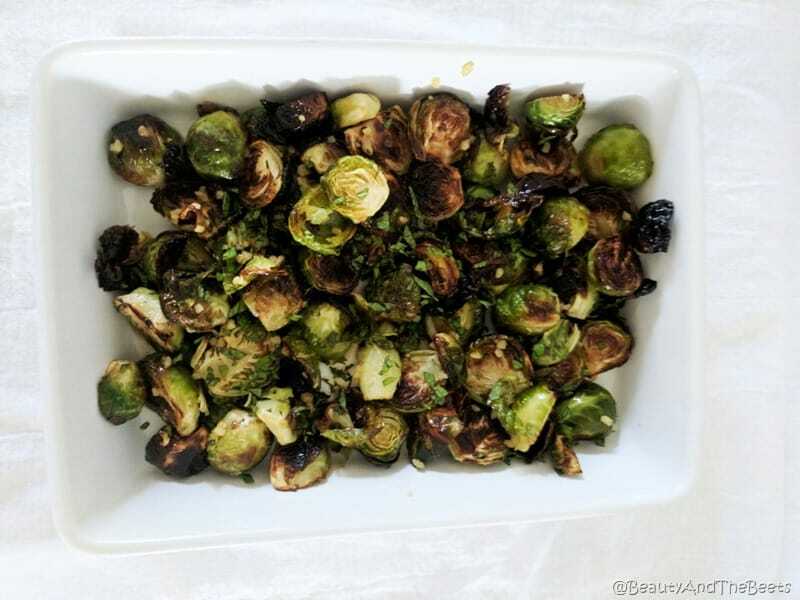 In a bowl, combine the Brussels sprouts with the olive oil, Toss to coat the sprouts. 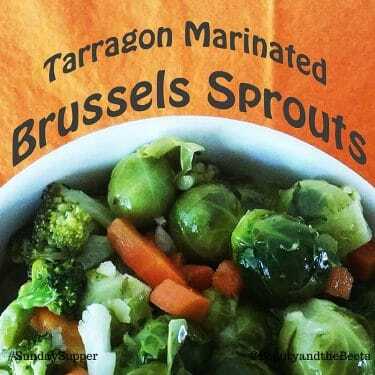 Pour the Brussels Sprouts into a single layer on the lined baking sheet. Roast the sprouts about 15 minutes, stirring half way through. As the sprouts roast, add the fish sauce, lime juice, brown sugar, garlic, and red pepper flakes to a large bowl and whisk. 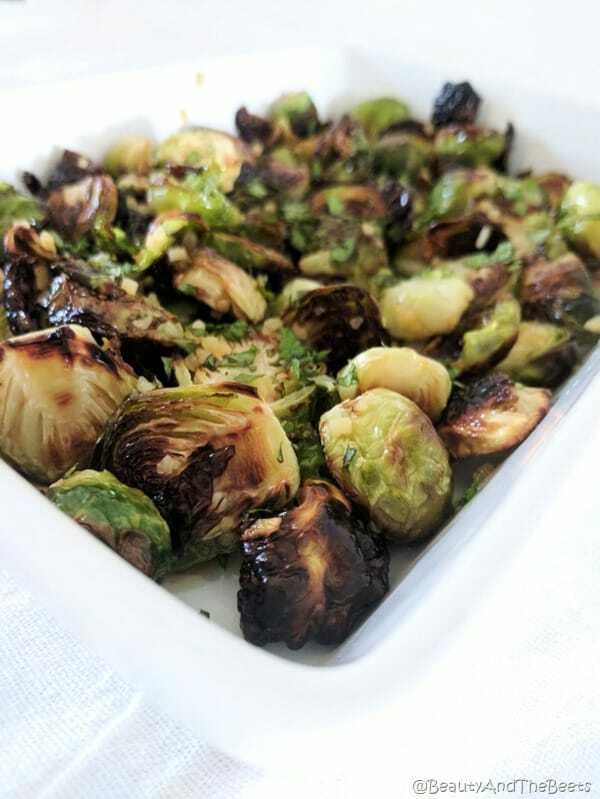 Remove the Brussels sprouts from the oven and add to the bowl with the fish sauce dressing. Sprinkle the chopped fresh mint over the sprouts and serve immediately. I have someone in the house who wouldn’t try this at all – loves fish sauce but hates sprouts 🙁 As for me, I am all in. Whenever we go out to eat and there is a sprout dish of any sort, I will order it. Once, however, at a very high end restaurant, I got a sprout dish as an app, took several bites before I realized that it had teeny pieces of bacon in it. I had not eaten meat for nine years until mistakenly then. So…………..now I ALWAYS ask. 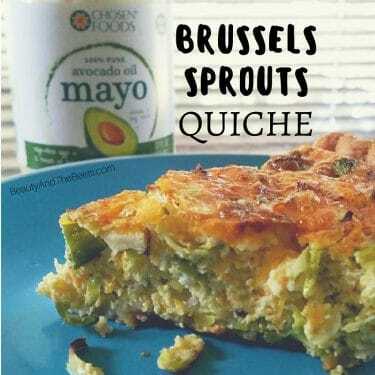 Apparently that is not uncommon so that’s why I love ALL your sprout recipes.